I welcome you all to my first blog ever! I am going to try my best to make you experience surrey on your screens. So I’ll start with my first few days in Surrey. So after my long haul flight of 7 hrs I finally arrived at Heathrow in London, one of the two airports close to the University of Surrey. Even though I was really tired after the flight I was eagerly waiting to see the university and the town where I’ll be spending my next few years. The university did a very good job with their helpful emails so I knew exactly what to do after arriving in the UK. I needed my keys! 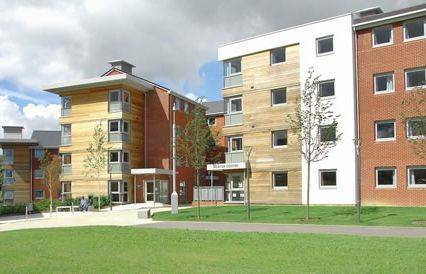 My student accommodation was in Manor Park located at a 20min walk from the main campus. There were students known as the ‘Fresher’s Angels’ who were helping all the students coming in, some of them even helped me with my bags! I immediately felt very welcomed. I collected my keys which was in fact just a contactless card like you would find in a five star hotel. Yup that’s how fancy surrey is…! I opened the door and behold my own room. Just perfect. Later in the evening I met up with my housemates who were very welcoming we all sat down in the kitchen played some cards and shared some laughs… well that last line certainly rhymes. Next morning I was all geared up for my welcome week at the university I did arrive an hour early due to all the excitement but it did give me an opportunity to visit the beautiful lake on the campus. 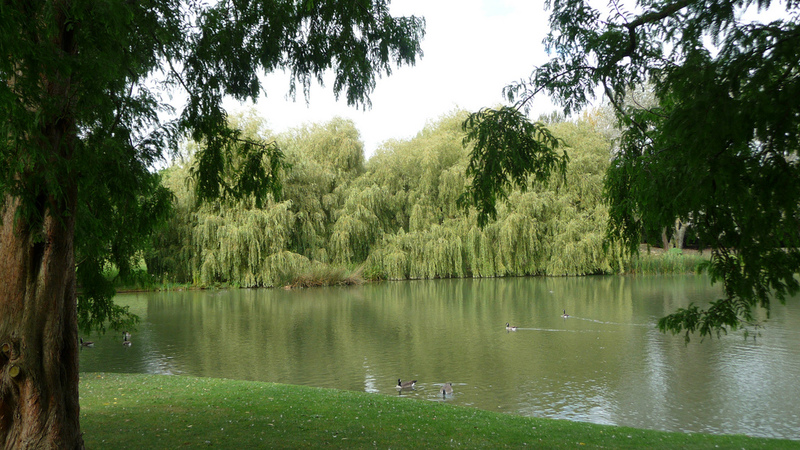 Just look at how pretty and peaceful it looks (until the ducks attack you). The welcome week was generally very helpful because it gave the new students a chance to get familiar with the University and get their login details. I remember using the map of the university to get around buildings in the first few weeks. A Little About the Town!